Who’s up for some history? I promise there won’t be a test. A few weekends ago I took my daughter Hanna on a special day trip into Philadelphia with the plan of spending some quality time together. I had numerous places all mapped out that we would visit, and Hanna just seemed happy to be out of the house and on an adventure. Oh and before I forget, yes we did use all the penny machines. 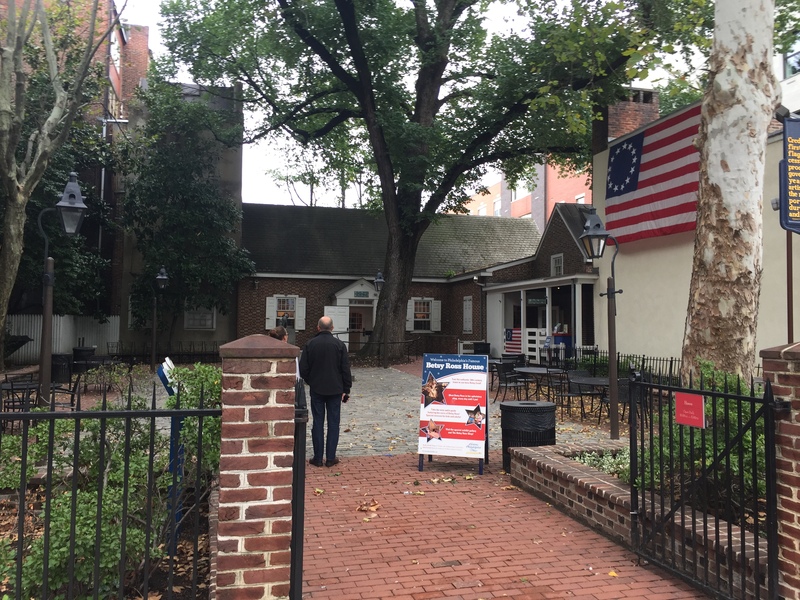 After driving into center city Philadelphia we found a place to park and headed to our first stop the Betsy Ross House. 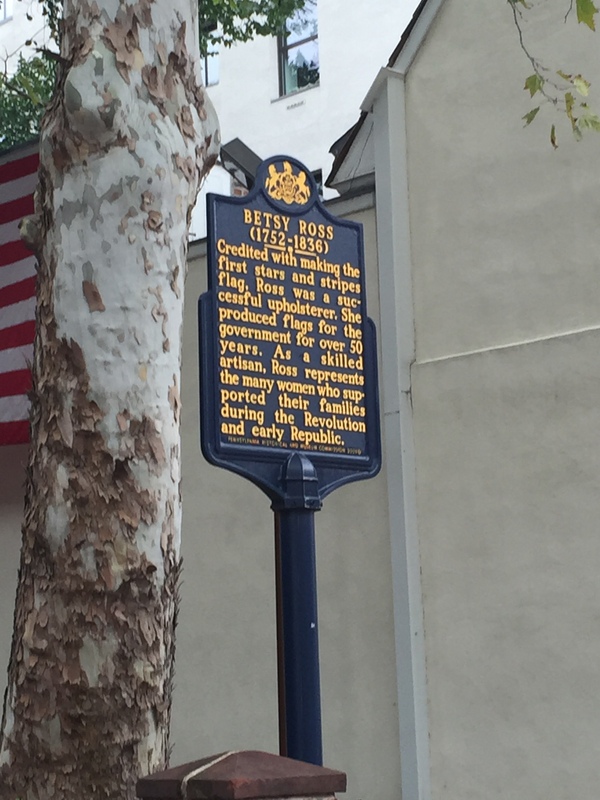 This as you might have assumed is the home of Elizabeth “Betsy” Ross who is widely credited as having creating the first stars and strips American Flag. 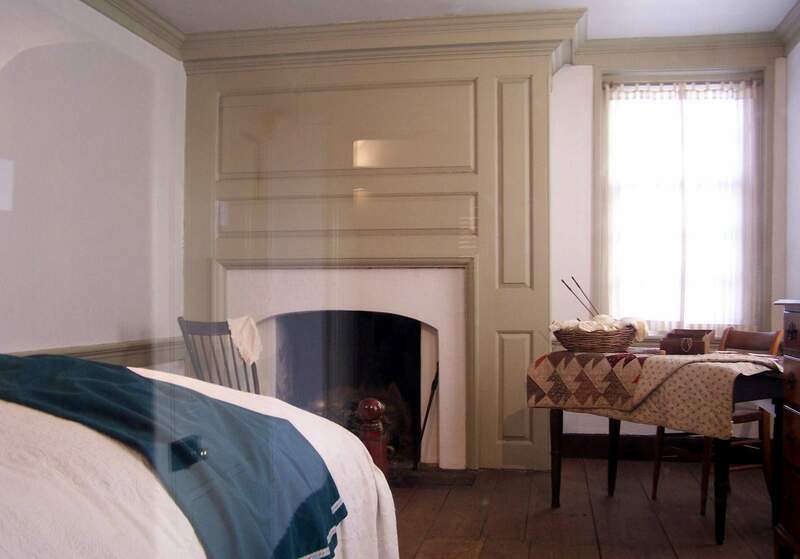 Her home is located on Arch Street several blocks from Independence Hall and the Liberty Bell. 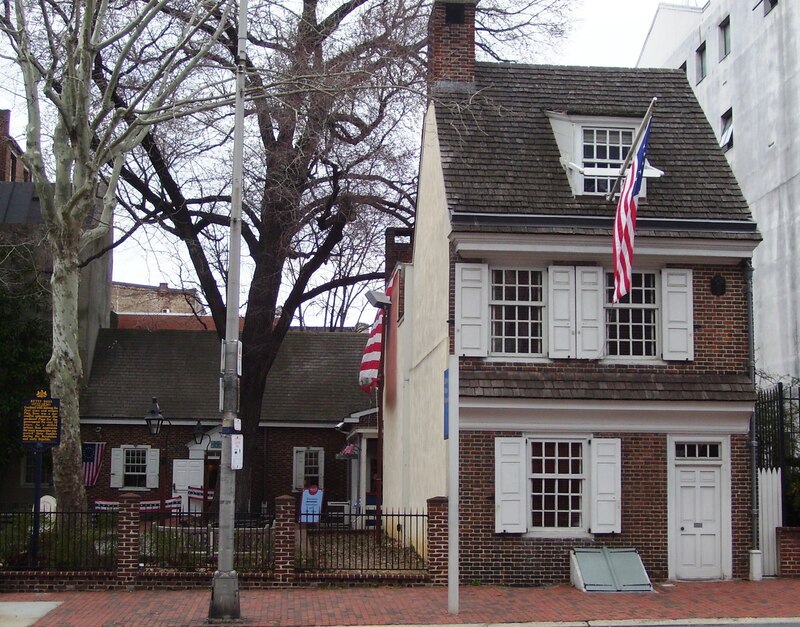 Many historians claim that this is not the actual house Betsy Ross lived in and sewed the first flag. However that doesn’t stop visitors as this is one of the most popular tourist attractions in Philadelphia. Below is a picture of the courtyard beside her house and at the back is the entrance to the gift shop. In the gift shop is where you can pay for the self guided tour that will take you through the entire house. Above is a picture of her bedroom, and there were many other rooms that you get you see and learn about. 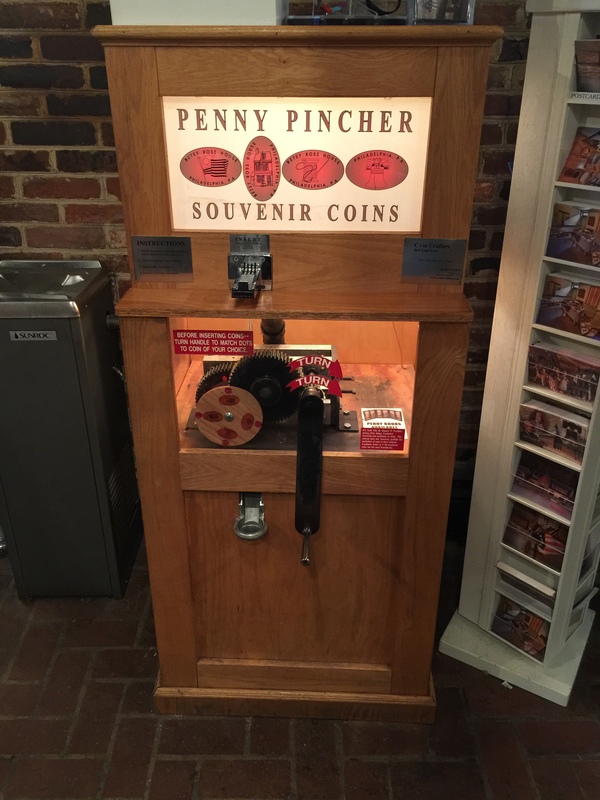 Once our tour was over we headed back to the Gift Shop to use the penny machine. There were four designs available on this machine: The first American Flag, Betsy Ross House exterior, Needle and Thread Spool, and the Liberty Bell. 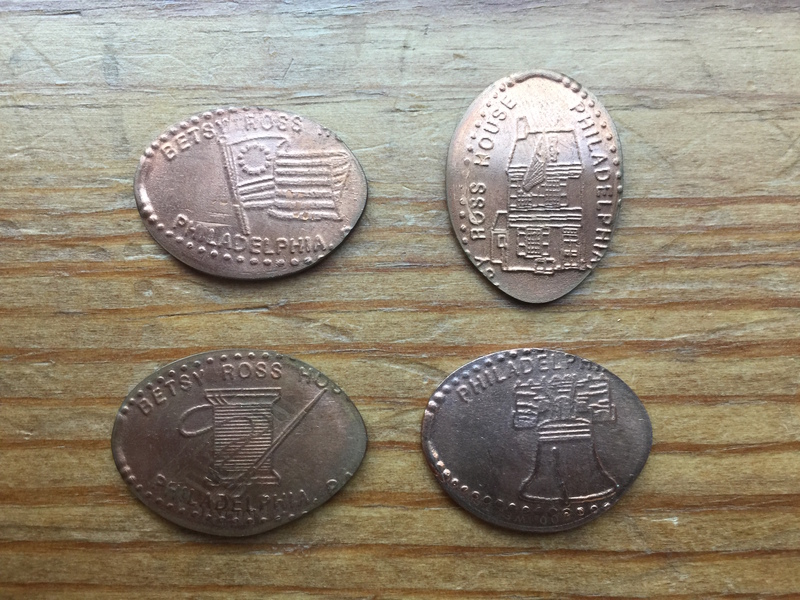 It pressed all the pennies a little short as you can see in the below picture. I tried to press another set to see if they came out any better but the results were the same. With the pressed coins in my pocket and our little American Flags in hand we headed back outside and off to our next stop. Be sure to check back and see where we headed next. Thank you so much Earl for all that information.